Abu Dhabi Media, one of the fastest growing, multi-platform media and entertainment organizations in the Middle East, said it has appointed Dr Mohammed El-Said as the company's new general counsel. The appointment of Dr El-Said, a leading legal executive, reinforces Abu Dhabi Media’s commitment to expanding its senior leadership team, in order to support the company’s rapidly growing operations as a principal multi-platform media organization in the Middle East. He holds an LLB from the University of Jordan, an LLM in International Business Law and a PhD in Intellectual Property Matters from the University of Manchester. Dr El-Said will oversee Abu Dhabi Media’s legal department and work to safeguard the company’s rights and will be reporting directly to the CEO Ayman Safadi. 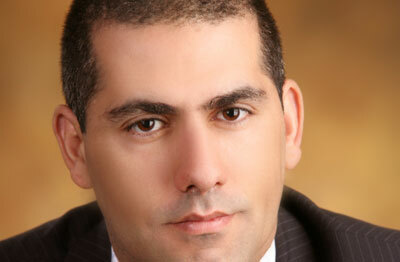 “Dr El-Said brings years of legal expertise from the regional media field and is a great addition to our organization. He is appointed to direct our legal function and oversee transactions, as well as to protect the organization’s rights,” said Safadi. Prior to this, Dr El Said served as senior legal counsel at Al Jazeera Media Network, for more than six years, specializing in technology and media intellectual property rights issues, drafting and reviewing contracts and agreements, the drafting and implementation of policies and procedures, legal compliance, and overseeing litigation. Before joining Al Jazeera, Dr. El Said practiced law in Jordan from 1999 to 2005.